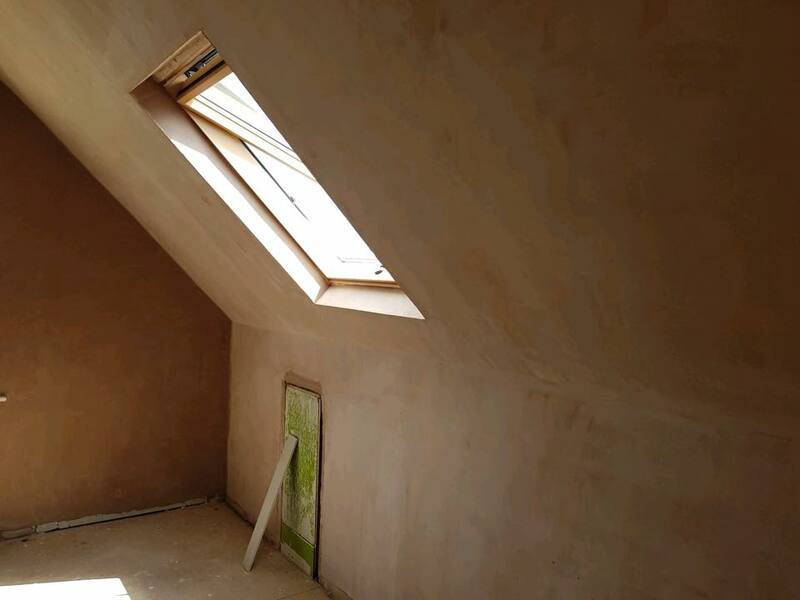 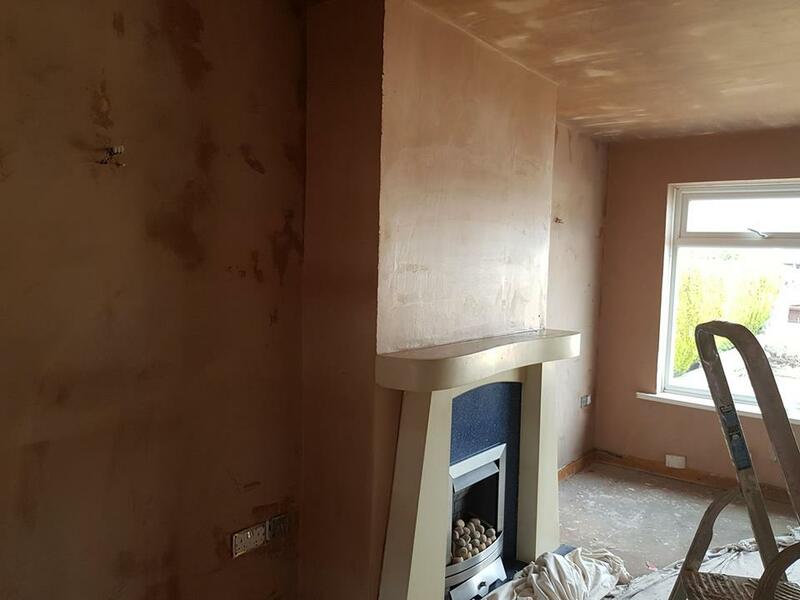 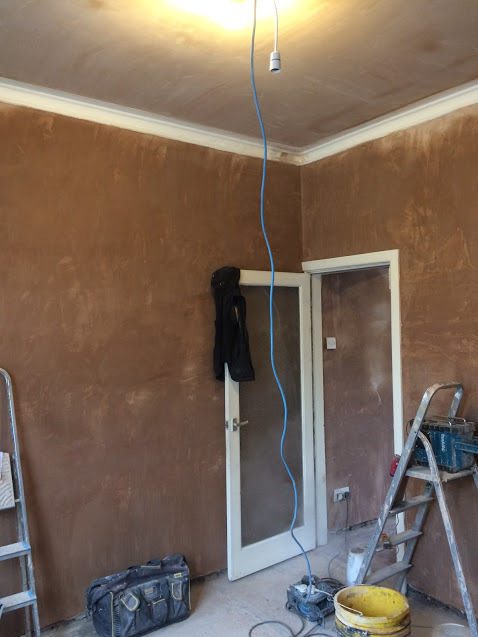 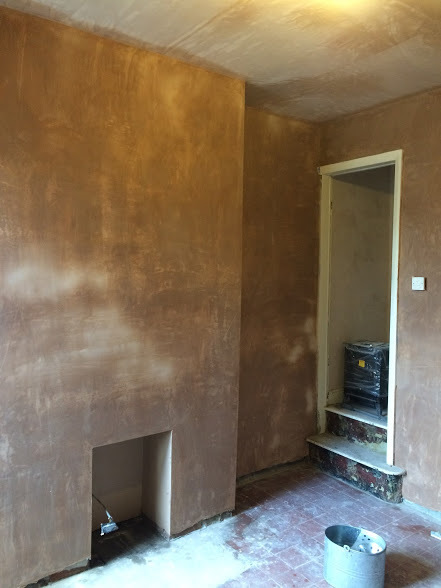 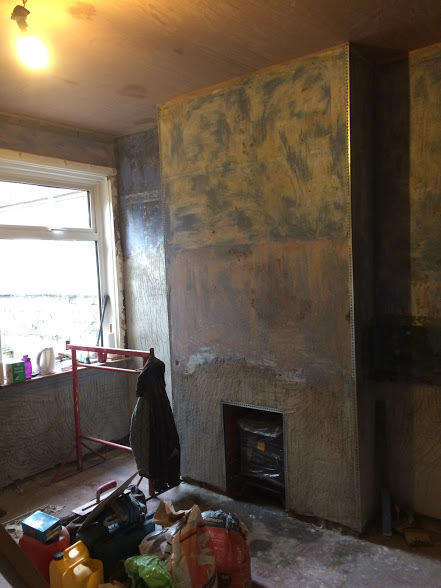 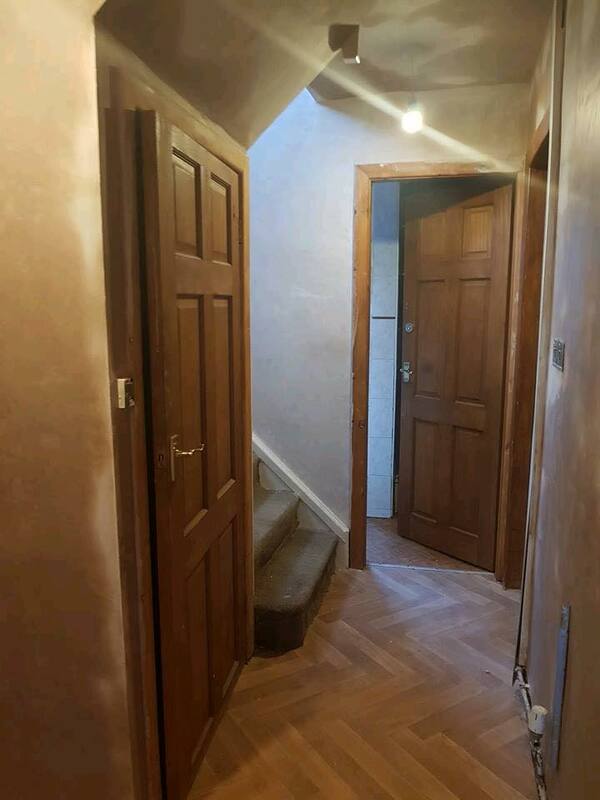 Nigel recently completed this plastering job. 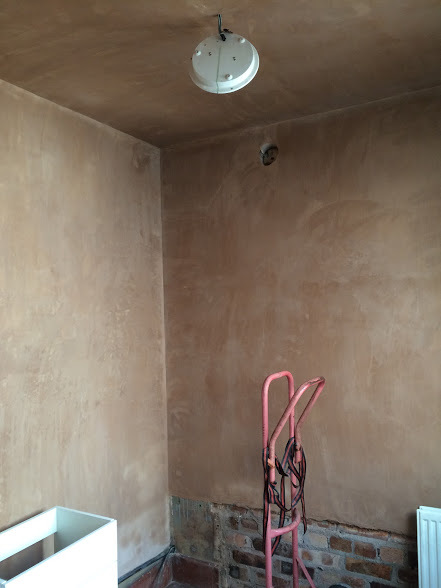 A customers photograph of a recently plastered room in Knypersley. 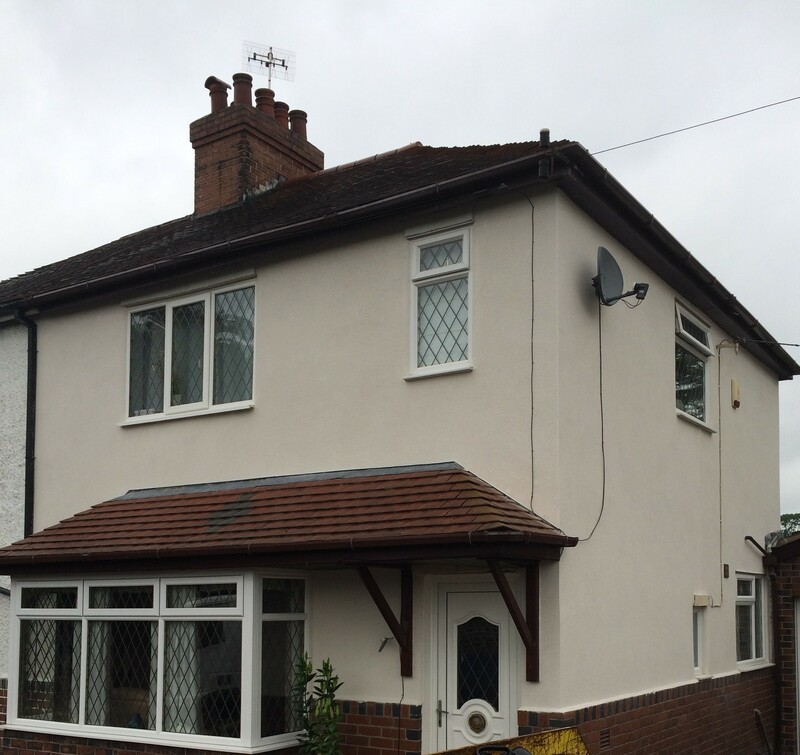 On this job Nigel removed the perished Tyrolean built a brick corbel and applied Monocouche Render. 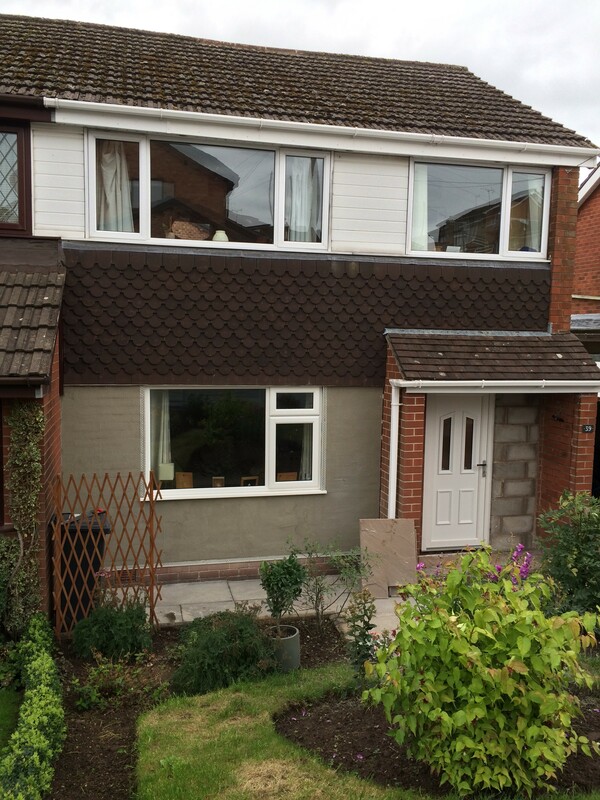 On this job in Cheddleton, Nigel removed the old window sill, plastered the whole room and fitted a new sill. 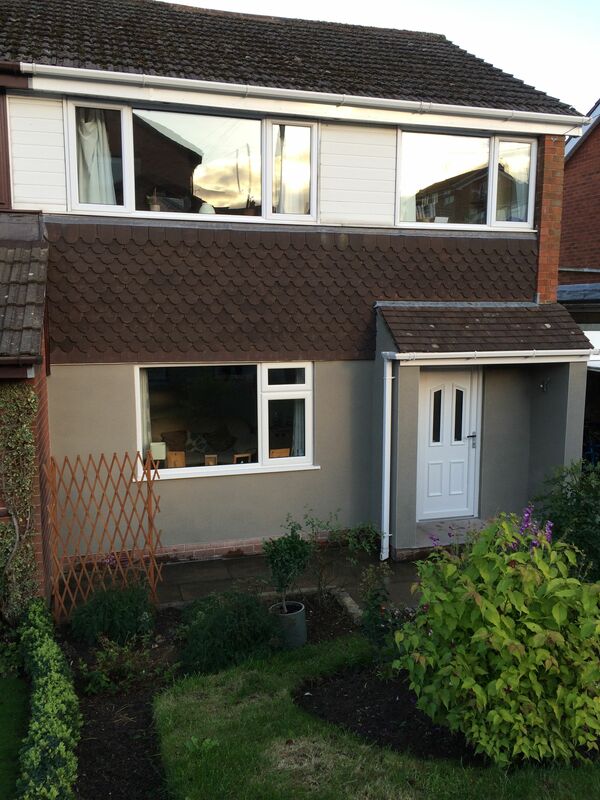 Nigel recently completed a house renovation in Shelton. 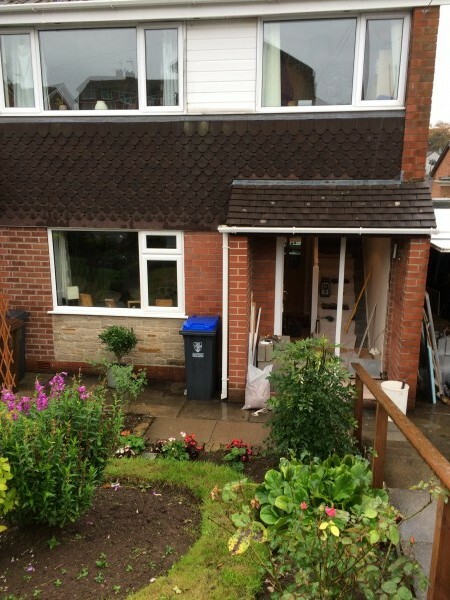 This included: Work to the chimney and gutters, damp remedial work and skimming of the whole house. 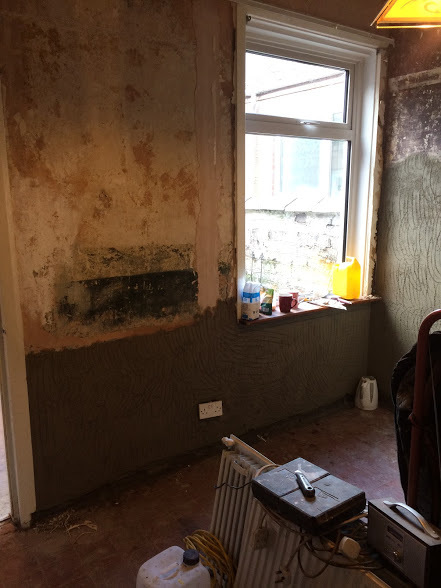 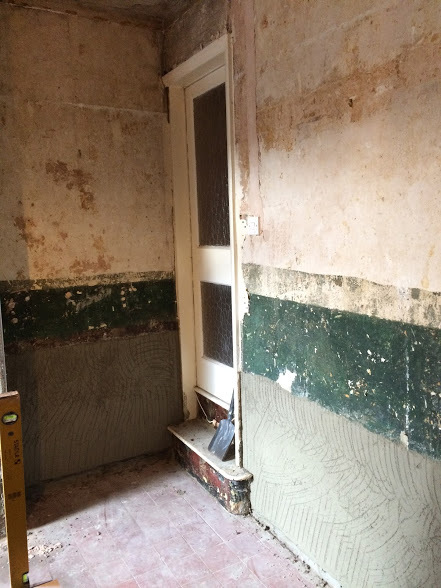 Photos once the damp work was complete. 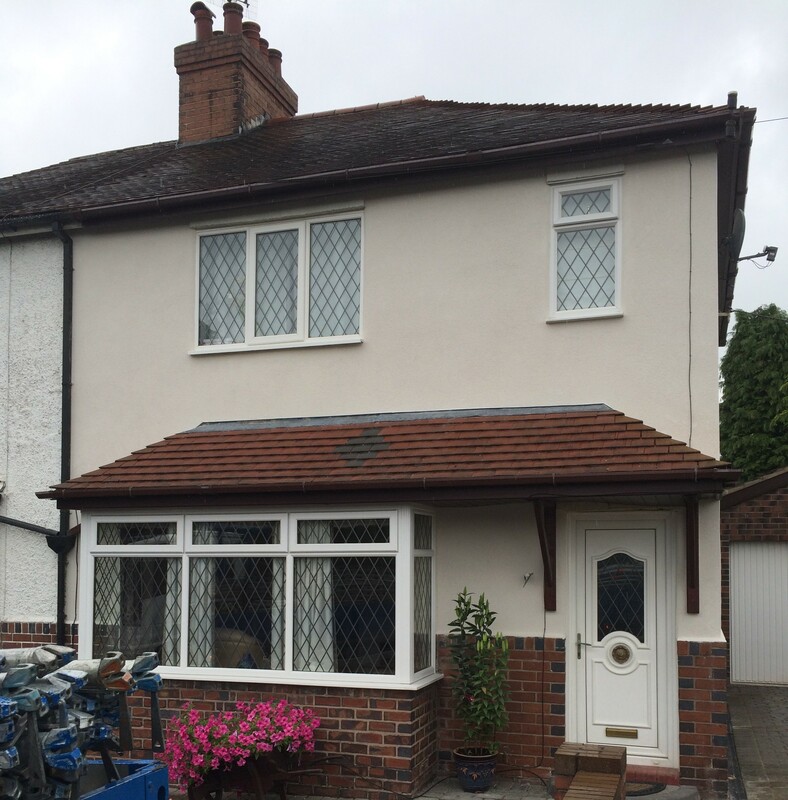 This property’s render was old cracked and perished in places. 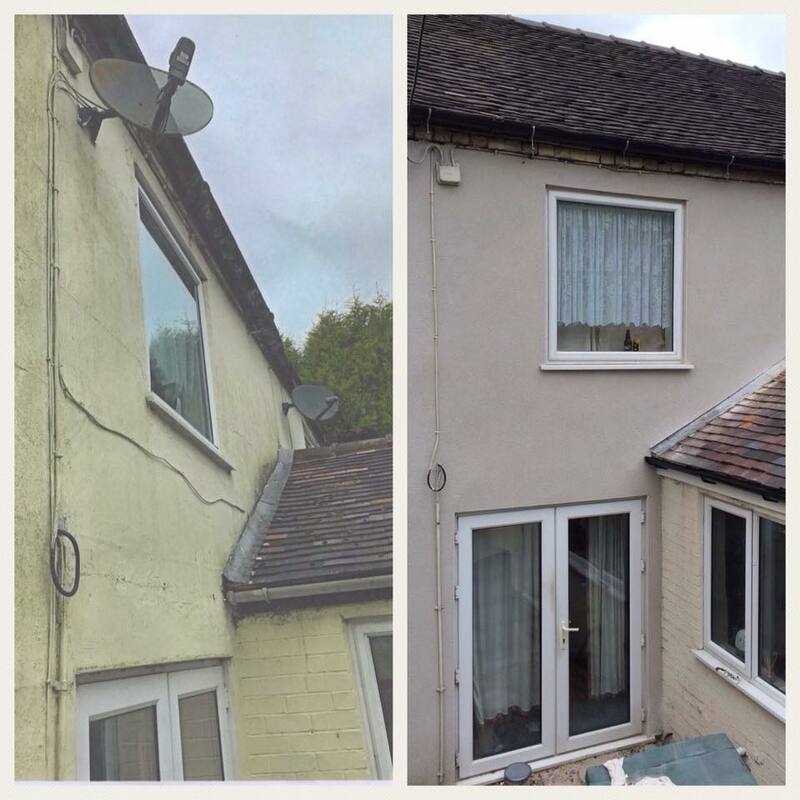 Nigel removed all the old render, rebuilt small areas of brickwork that had collapsed over time. 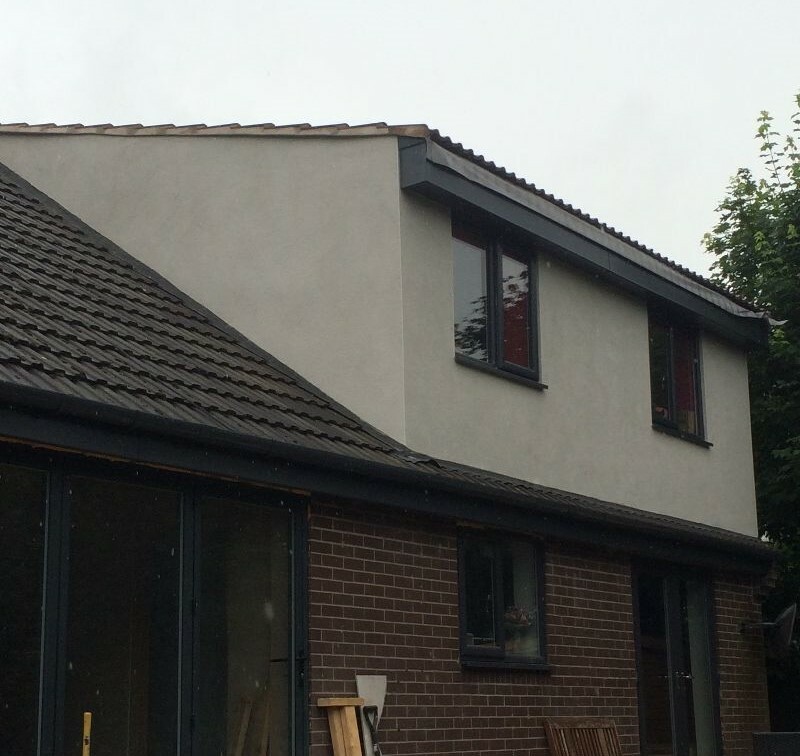 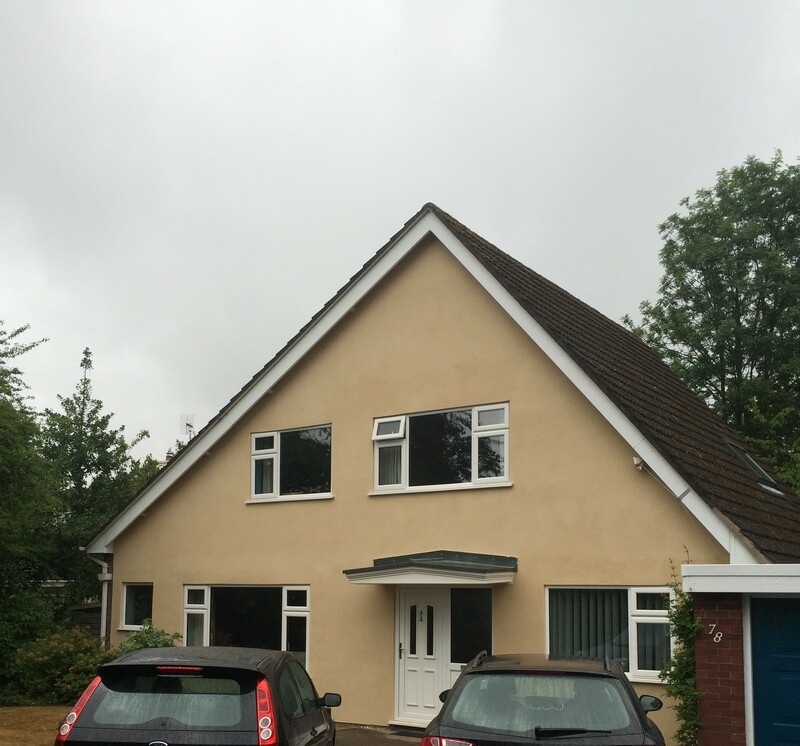 Applied Monocouche render to the whole of the property. 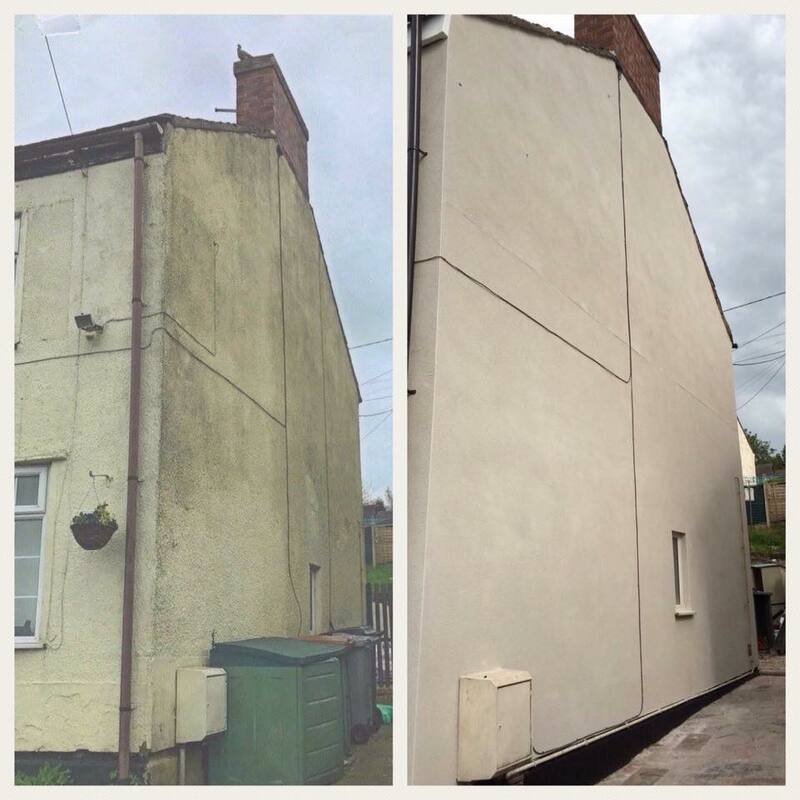 Before and After of rear of the property. 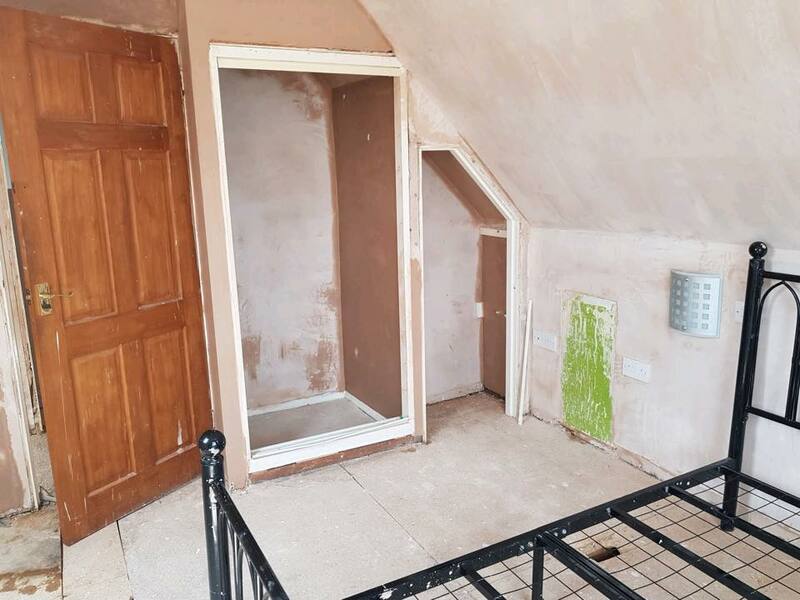 On this job Nigel removed the old door and frame. 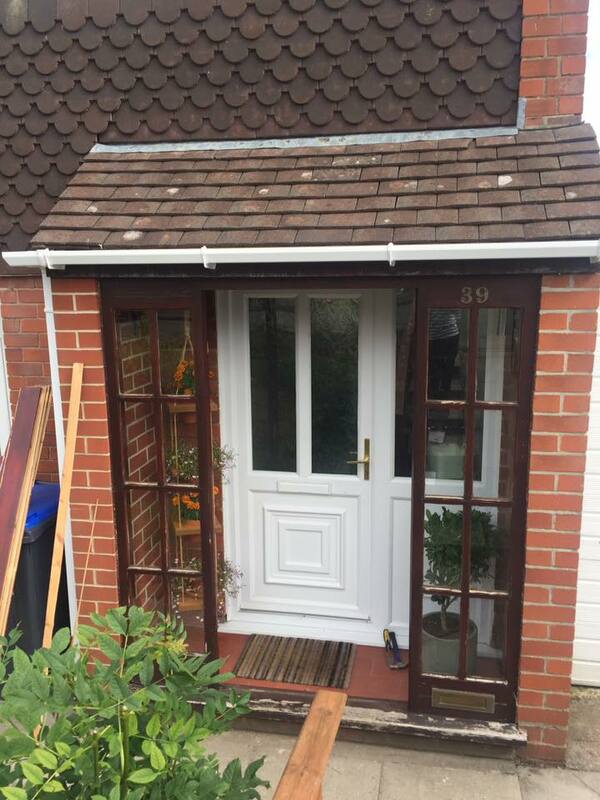 Built a small wall and fitted a new front door. 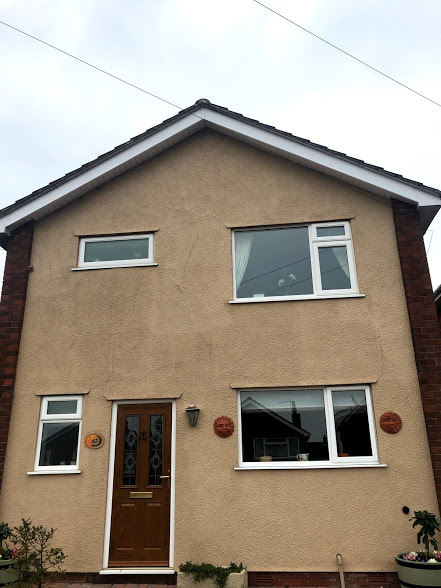 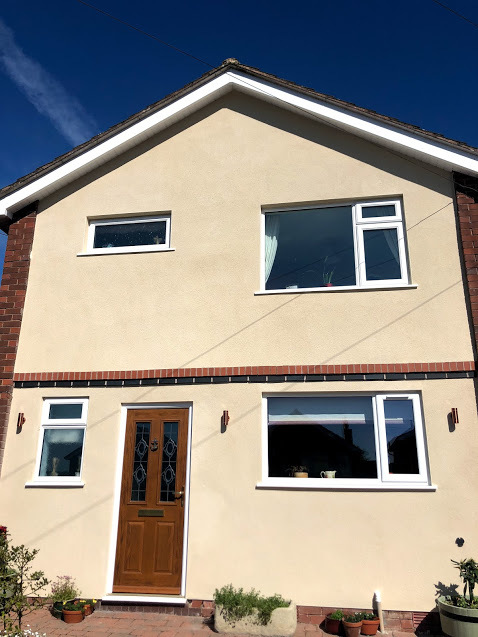 He laid Indian Stone to the floor, insulated the roof space in the porch, plastered the ceiling, applied Weber rendaid to the uneven bricks and finally applied Weber Monocouche to the whole area. 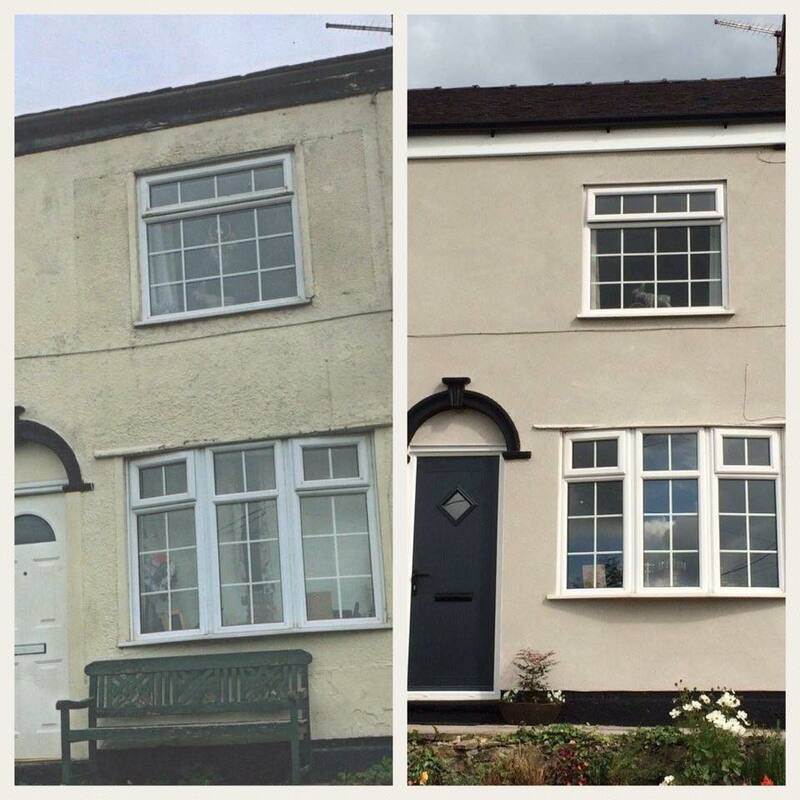 An amazing result. 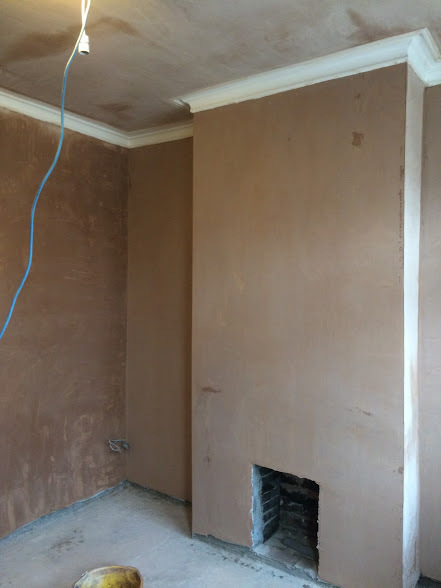 Monocouche applied to the whole area. 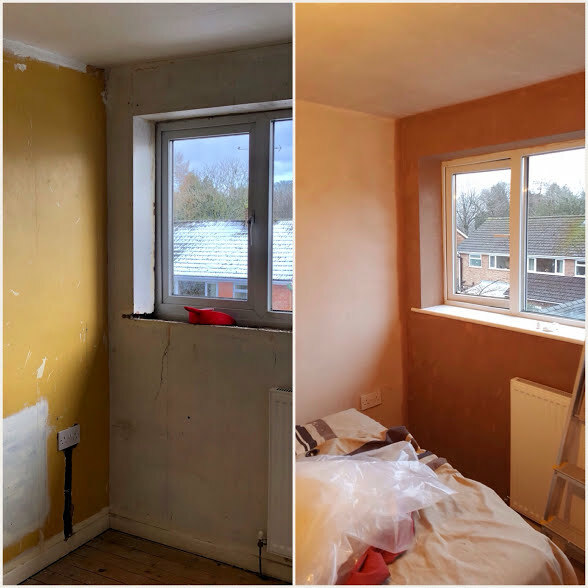 On this job Nigel removed all the old render, prepared the walls and applied Monocouche one coat render (Colour Chalk). 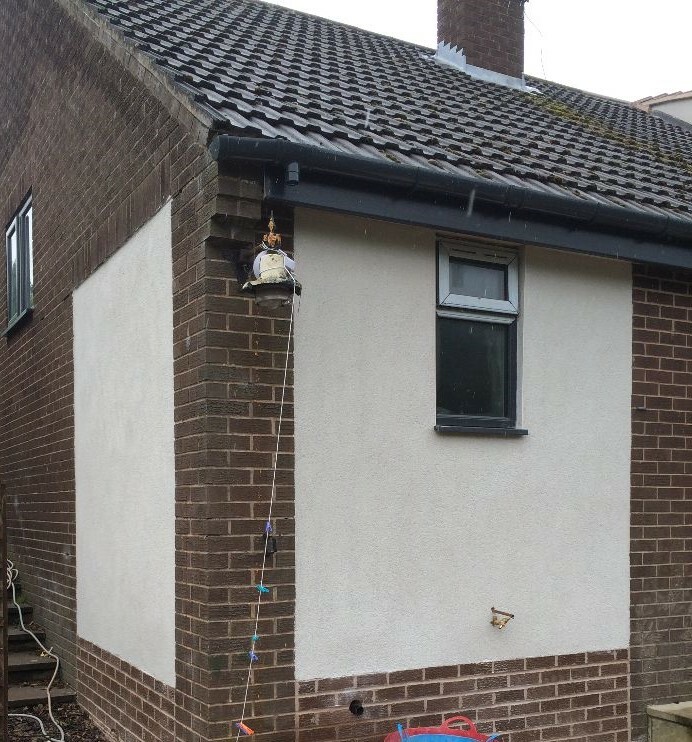 When the scaffolding was removed even one of the lads said Nigel had achieved a brilliant result!